The Flat season is starting to warm up and tomorrow ITV4 are showing four races from Newmarket including the Group 3 Nell Gwyn Stakes. Then on Wednesday they show five races including the Craven Stakes. As always Carl Nicholson will be tipping in every race on ITV and you can get access to all the selections for these two days of top class racing for just £7.50. If you like to only bet on the ITV racing and like to win over the long term. And you prefer to pay as you go rather than take a subscription then this is the perfect service for you. 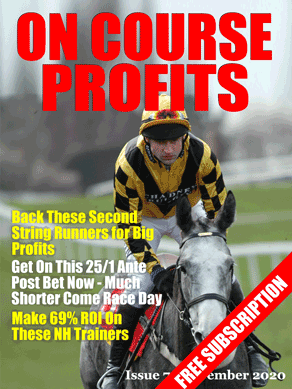 Today’s free selection comes from Carl’s Racing Diary service. The 12/1 that was available when this tip went to Carl’s members has now gone and the best price is 7/1 which is generally available.